Have a little bit of extra cash? Put it in an envelope and start saving. Have extra cash? Put it in an envelope. In fact, put it in several. That’s how “Broke Millennial” author Erin Lowry saved $500 in a year on a $25,000 salary. The theater major moved to New York City in her early 20s after landing a job as a page on the David Letterman Show. The aspiring actress’ job was to entertain the audience before the show started. It was fun, she said, but paid little. “I had a vision of a starving artist and it’s almost this romanticized thing that kids do in college,” Lowry told NBC BETTER. But Lowry soon realized her paycheck wasn’t nearly enough to cover the $950 a month she owed in rent. To make up the difference, she picked up extra work as a Starbucks barista and babysitter, often working all three jobs in revolving shifts in a single day. “It was a pretty tiring time in my life,” said Lowry. But she was determined to make it work and save money in the process. The 27-year-old said the envelope system is effective because you can see how much money you have in each of your budgets. The system keeps you focused on your budgets and prevents you from overspending, according Lowry. “I think it helps illuminate that what you thought were your priorities aren’t based on how you’ve been spending your money and it can help you redirect and refocus,” Lowry said. Now a full time author, blogger, and public speaker, Lowry no longer gets paid in cash. She said she still uses the same system, but with multiple checking and savings accounts in place of envelopes. “It’s the exact same system, just digital,” she explained, noting that many banks will allow you to open multiple accounts. 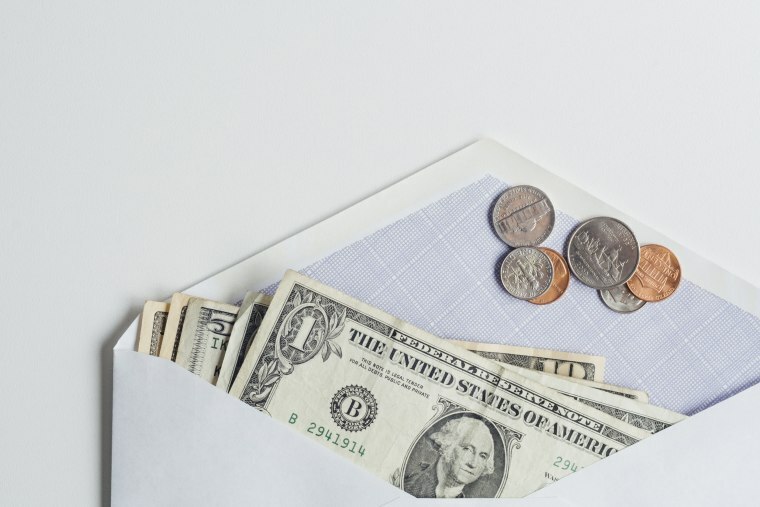 You can automate contributions from your paycheck to a savings account, which makes saving easy, according to the the blogger. “When I’m logging into my checking, which I do a little more frequently than savings, I’m not seeing my savings there, so I’m not tempted to pull money out,” Lowry said. “I’m thankful I had that experience, but I’m also now trying to be a little bit better about finding balance in my life and saying yes sometimes and not solely always focusing on making money,” Lowry said.